The new Subaru Forester gets tested for safety around the globe. How safe is the new SUV? How safe is the newly-redesigned 2019 Subaru Forester? The new-generation SUV arrives in Australia earning five stars for safety. It’s not a surprise as Subaru is all about safety and the Forester gets the new Subaru Global Platform that improves crash protection over the outgoing model. The new Subaru Forester scored a maximum five-star safety rating following the latest round of Australian New Car Assessment Program (ANCAP) testing. Forester scored 94 percent for Adult Occupant Protection, 86 percent for Child Occupant Protection, 80 percent for Vulnerable Road Users, and 78 percent for Safety Assist systems. One of Subaru’s core values is safety and it shows in how their vehicles perform in crash tests around the globe. Subaru spent $1 Billion dollars developing their new Global Platform (SGP) that will underpin every new-generation model and the new Forester now rides on the new architecture. The new SGP underpinning the new SUV improves crash energy absorption by 40 percent over present models keeping occupants safer in the event of a crash. In the U.S., Forester has also been awarded as 2019 Top Safety Pick (TSP) from IIHS with the highest possible rating of “Good” for six crashworthiness tests and “Superior” for front crash prevention. Subaru’s win streak of top IIHS safety picks goes back over a decade. The Subaru Forester SUV extends its title as the longest running TSP winner in the small SUV category with a record 13th win. The fifth-generation Forester comes standard with Subaru’s EyeSight driver assist system. It now includes low-and high-speed autonomous emergency braking, lane-keep assist with lane departure warning, and blind-spot monitoring as standard equipment. 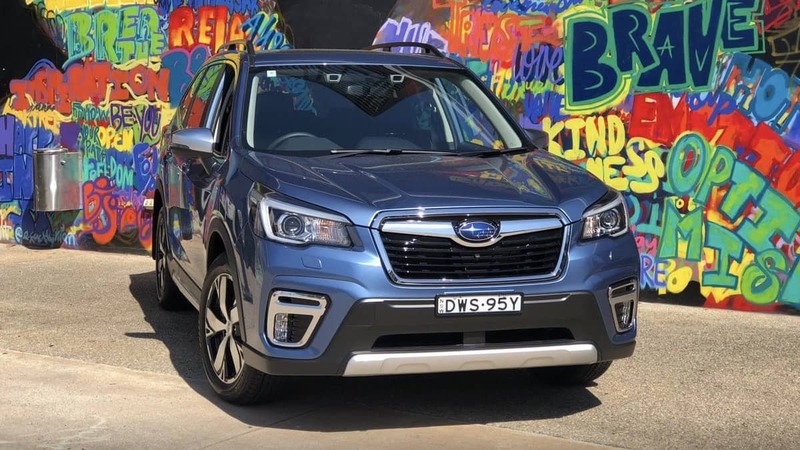 The new-generation 2019 Subaru Forester gets the highest safety rating in Australia and is one of the safest small all-wheel-drive vehicles for consumers. Subaru Corp has now achieved a maximum five-star safety rating for four generations of the small SUV. Had my 2019 Forester for just one month when a fullsize GMC truck ran smack into the passenger side at an intersection. WHOOSH - a whole curtain of airbags came down. Big dent on the outside, almost no damage on the inside. I didn't have a passenger, but if I had, they'd have been fine. So now I have a new 2019 Forester.